At the 2012 Gretsch Showcase at NAMM, guitar legend Duane Eddy was a hit, whether it was his two packed autograph signings, the countless pictures he took with fans, or his chance meeting with metal god Alice Cooper. Through the insanity of NAMM, GretschGuitars.com got a chance to chat with Eddy about seeing Cooper and his 2011 album, Road Trip, which featured contributions by Pulp’s Richard Hawley. 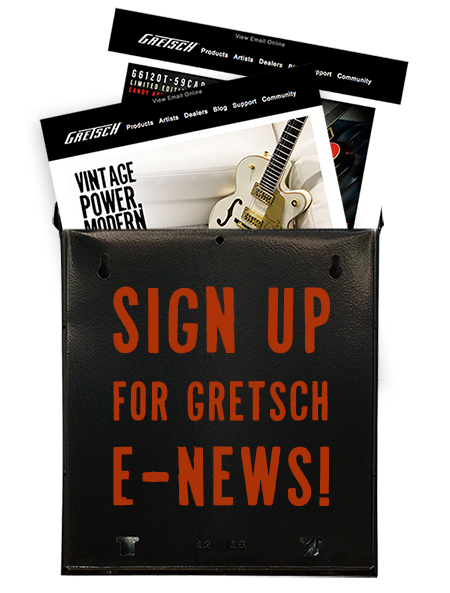 GretschGuitars.com: How do you know Alice Cooper? Road Trip was your first album in a long time! How did you meet up with Richard Hawley? “When I was over there doing the dates, Graham [Betts, manager] lamented the fact that we had no budget and no songs, so we decided to do an album. We went out to the studio in Sheffield with the rest of the group, and the rest is history. We all just started coming up with ideas and wrote what we liked. Did this record light the fire to record again? “It was really fun, because it was like going back to the old days in Phoenix where I started. It was like recording live in the studio.